Offering a truly unique twist on the dining experience, Urban Food Fest is perfect for visitors with a curious palate who are looking for a laid-back, good time. Founded two years ago by investment banker Mike Egerton and Jessica Tucker, a city lawyer, the food extravaganza has gone from strength to strength, with events taking place in the heart of Manchester, as well as at their main base in the London Borough of Shoreditch. The London event takes place in the unusual setting of the Euro Car Parks on the prime slot of 162-167 Shoreditch High Street, while the northern pop-up events are hosted in the Euro Car Parks near to Deansgate. 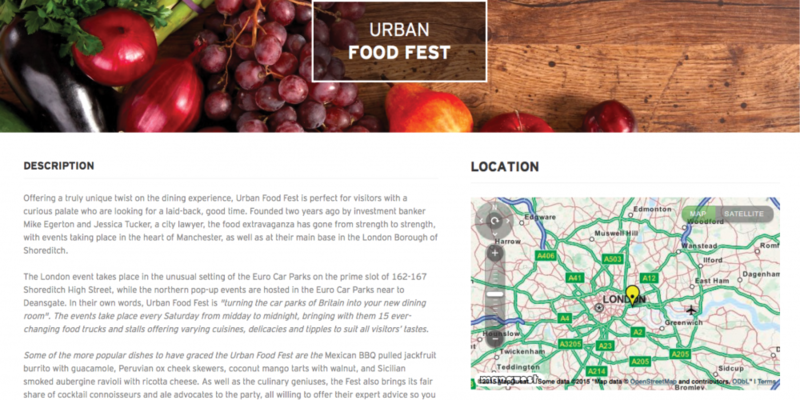 In their own words, Urban Food Fest is “turning the car parks of Britain into your new dining room”. The events take place every Saturday from midday to midnight, bringing with them 15 ever-changing food trucks and stalls offering varying cuisines, delicacies and tipples to suit all visitors’ tastes. Some of the more popular dishes to have graced the Urban Food Fest are the Mexican BBQ pulled jackfruit burrito with guacamole, Peruvian ox cheek skewers, coconut mango tarts with walnut, and Sicilian smoked aubergine ravioli with ricotta cheese. As well as the culinary geniuses, the Fest also brings its fair share of cocktail connoisseurs and ale advocates to the party, all willing to offer their expert advice so you can find your perfect tipple – whether it’s a soft beverage or something a bit more adventurous. 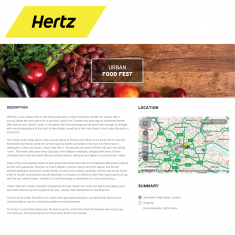 Urban Food Fest creates a fantastic atmosphere through regular live music and well-suited seating, and also hosts themed events throughout the year, ranging from Oktoberfest to Viva Britannia. 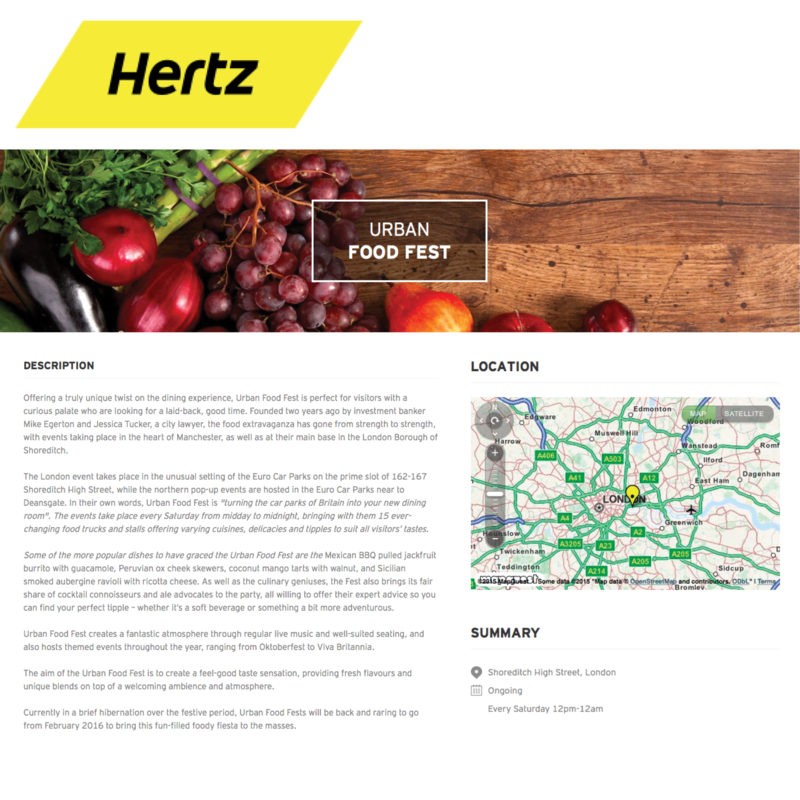 The aim of the Urban Food Fest is to create a feel-good taste sensation, providing fresh flavours and unique blends on top of a welcoming ambience and atmosphere. Currently in a brief hibernation over the festive period, Urban Food Fests will be back and raring to go from February 2016 to bring this fun-filled foody fiesta to the masses.